Titan Creative Entertainment proudly presents one of the best impersonators in the world and her tribute to the legendary Donna Summer, Karen. Karen recreates (physically & vocally) the excitement, look & performance of the unforgettable, eighties super star with her two talented soul sisters. 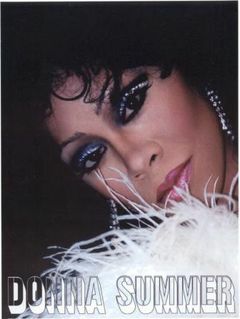 These beautiful & energetic ladies immediately captivate audiences as the legendary Donna Summer. If you are a true fan of Donna Summer you will surely love Karen’s attention to detail backed with professional tracks or full band featuring costume changes, choreography and live vocals.